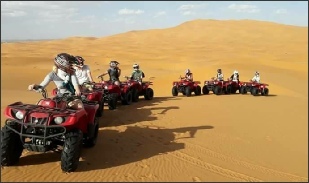 Morocco Desert-Trek offer private Morocco tours to explore Sahara desert, Merzouga camel trekking and nights in Erg Chebbi camp ! 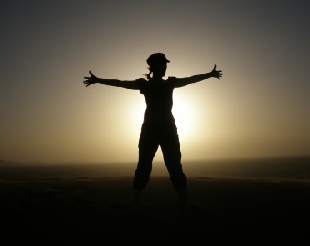 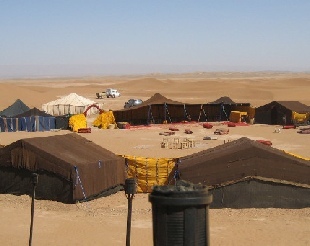 Staying in the Sahara desert is definitely an experience everyone should have at least once in their lifetime. 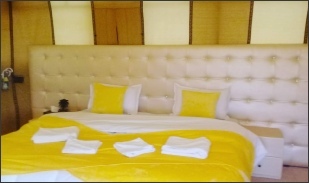 Is a place well you will have fond memories to last you forever. 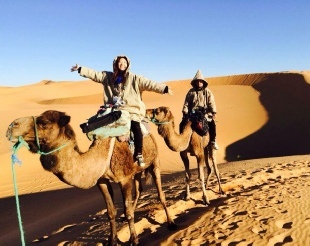 Imagine yourself on top a camel crossing through the Merzouga Sahara desert. 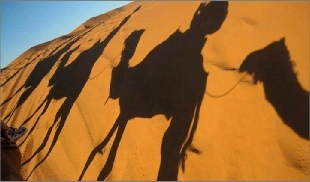 There is nothing around you and all you can hear are the footsteps of camel on the soft sand. 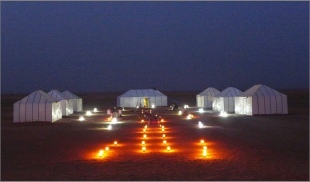 The sky is vast and clear in the day and filled with millions of bright stars at night. 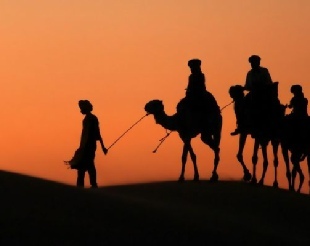 It is a very peaceful experience one should know to most of the western world. 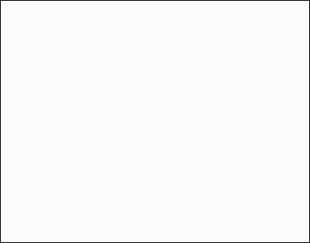 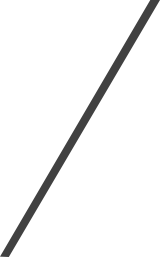 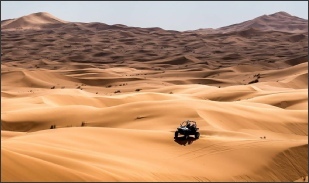 The colour of the dunes depends of course,on their chemical composition, but the colour also differs according of the inclination of slope,thus according to the angle of the incidence of the sunlight. 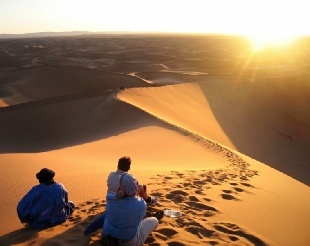 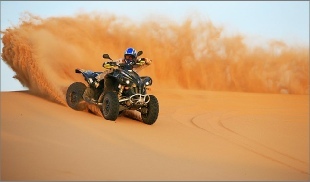 The Erg Chebbi extends over a distance of 25 km from north to south and 6,5km towards the east. 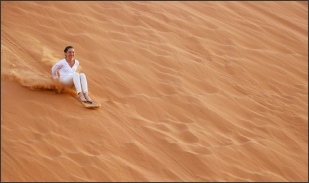 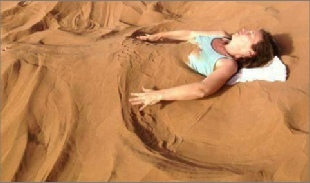 The beauty of these dunes is a real magnet for tourist both foreigners and Moroccans. 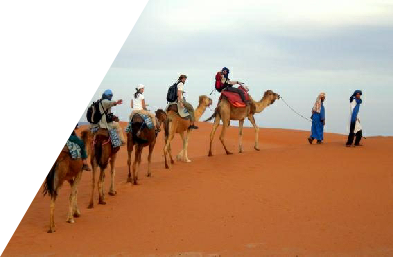 These latter target the oasis to seek cures for some disease such as rheumatism. 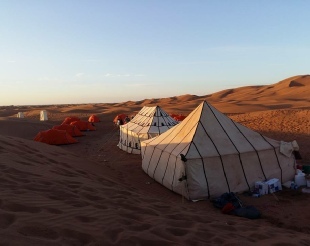 This beauty of dunes provides an incredible backdrop to experience a real adventure with Berber camel trips to the dunes to reach a hidden oasis ho camp. 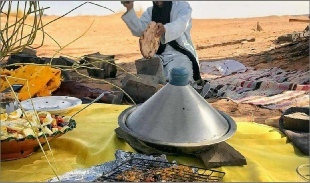 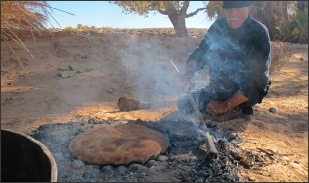 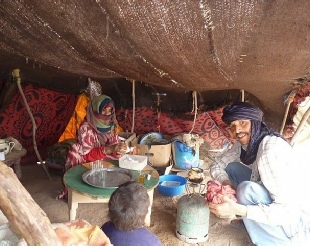 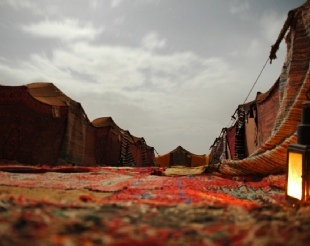 There you can enjoy a typical Berber food prepared in desert camp. 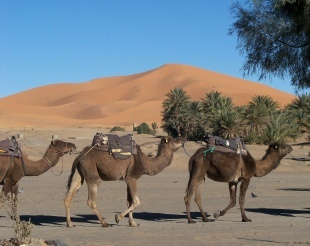 There are a number of possibilities of camel treks -Méharrées-offered by Morocco Desert-Trek,starting from a day's outing to a two-weeks expedition. 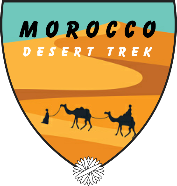 Morocco Desert-Trek is managed and organized by Lhou and Lhussin. 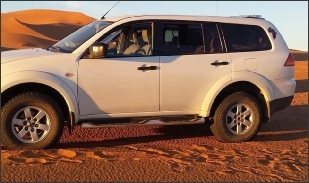 They can help organise your trip to the desert and they will answer any question or concerns you might have. 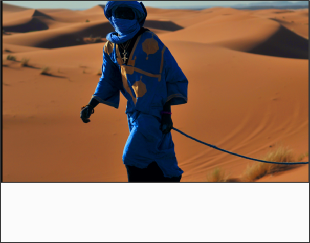 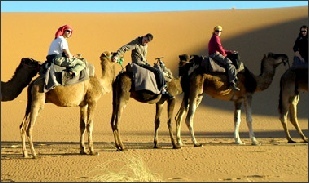 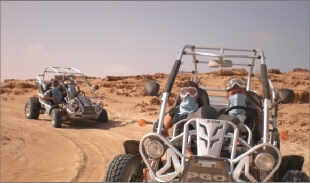 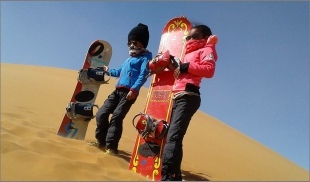 We Organize adventure Sahara trips in Morocco. 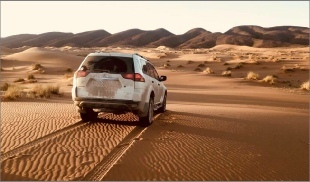 Contact us and we prepare for you amazing Morocco holiday , with comfortable transfer in A/C vehicle , we explore Unesco sites and Atlas mountains. 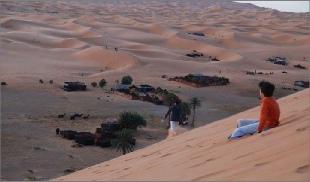 We visit Dades and Todra Gorges , then we ride camels to Erg Chebbi camp where you spend a night with tasty dinner.